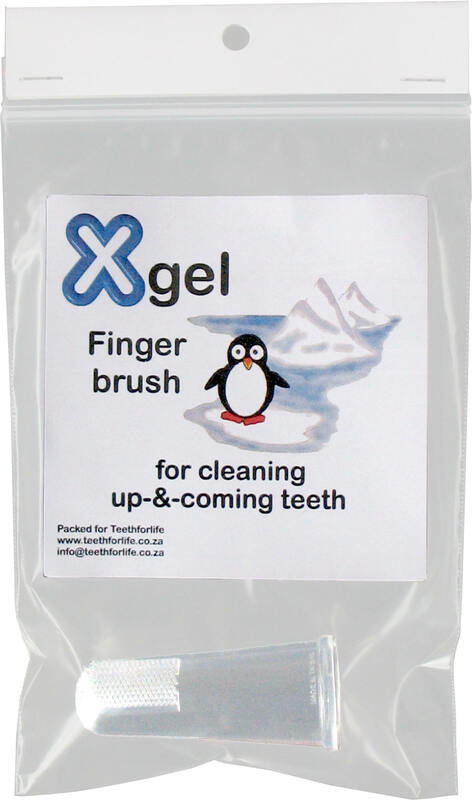 Xgel Products Mail Order (orders@teethforlife.co.za). Parcels 0-1kg R48 and R5.50 for each additional kg. Courier local (Jhb, Pta) (orders@teethforlife.co.za). Flyer bag R45, parcels R70 (Door to door ex vat). Other areas will be quoted for. Use to clean gums and teeth and reduce the build-up of harmful biofilm. 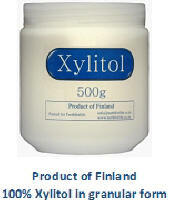 Xgel has been formulated to give the minimum daily amount of Xylitol required for dental benefits. 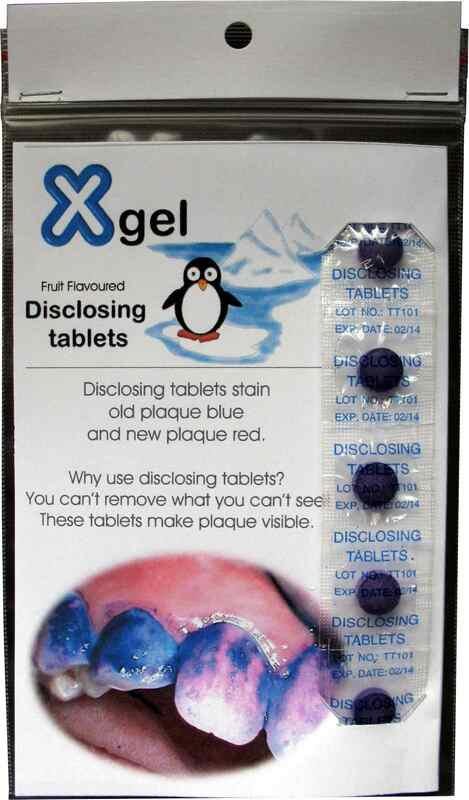 Xgel also contains calcium and phosphate to promote healthy teeth and gums. 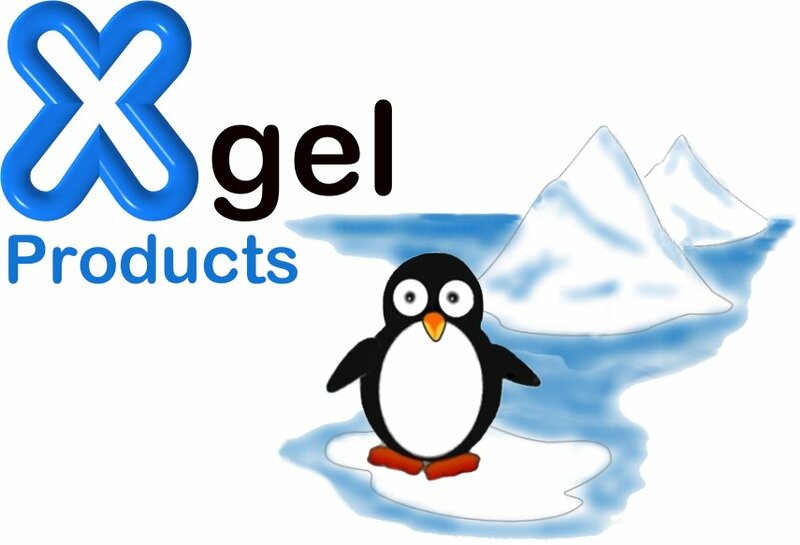 Unlike toothpaste Xgel is safe to swallow - no need to rinse. Contains no fluoride, detergents, grit, colourants, preservatives. The problem: milk residue left in the mouth after each feed, provides a perfect medium for mouth bacteria and fungi to grow. 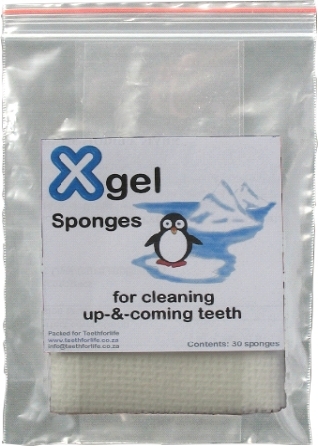 An Xgel sponge, moistened with cool, boiled water and/or Xgel, allows mom to clean baby’s mouth and gums. cleaning and applying Xgel solution. Xylitol is a true sugar replacer. Use Xylitol to sweeten beverages or sprinkle on fruit or cereal and in cooking (can’t be used in yeast-based baking nor does it brown like sugar). Try our delicious Xylitol Meringue Kisses(download recipe). Makes plaque visible. Used as a training aid to show where the plaque collects. Contains everthing new parents will need for the oral healthcare of their baby from birth to 9 months. Ideal for boosting mouth xylitol after meals or snacks. Serves as a healthy treat. A is for 'acid' the cause of enamel break down. B is for 'bacteria' which is responsible for the formation of plaque acids. 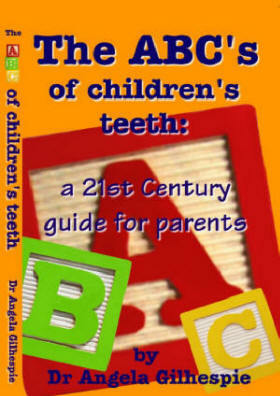 C is for 'cavities' the result of plaque acids...The book provides all the prevenative information you need to be able to raise children 'cavity free'. Copyright © Dr. A. Gilhespie 2008. All rights reserved.